Ah! I just bought these over Thanksgiving & I love, love, love them! But I highly recommend them- they are super cute! 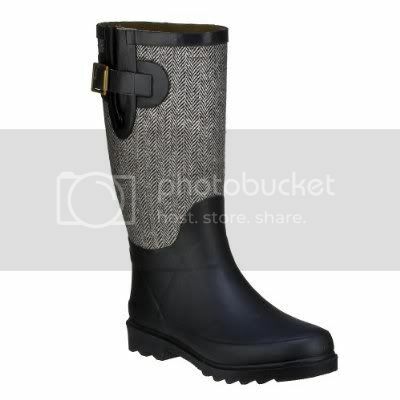 Ooh, the Target rainboots.. be careful! I had a pair for only about 2 weeks before they developed holes and became unwearable. Hopefully yours will be better quality than mine, but I'd suggest you hang onto the receipt.